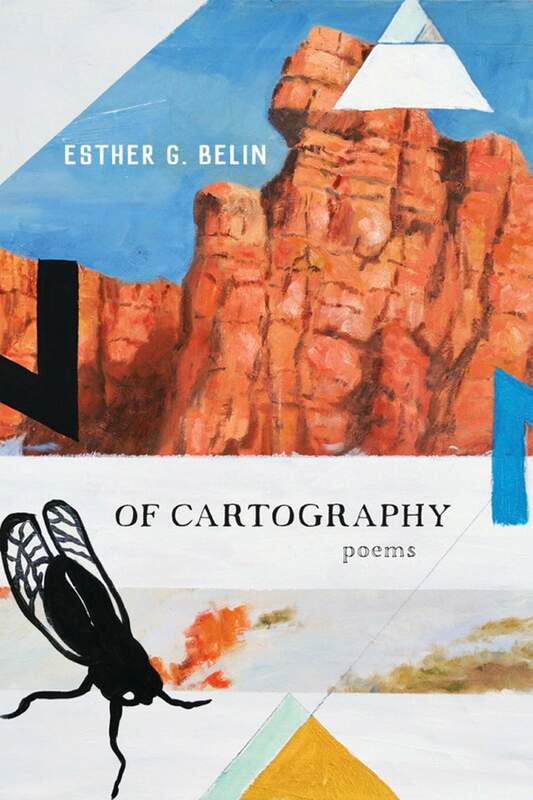 Before even opening the pages of Esther Belin’s newest collection of poems, Of Cartography, the multi-talented artist/poet reveals hints about her intentions. Belin’s cover illustration depicts the four sacred colors and mountains of the Diné (Navajo), and those readers aware of her culture will expect to find a rich and fascinating treasure inside. Belin has impeccable credentials, having graduated from UC Berkeley, Antioch University and the Institute of American Indian Arts. Belin was an American Book Award winner in 2000 with her first book of poetry, From the Belly of My Beauty. In addition to her many creative professional achievements, Belin has a creative and exceptional family. Her husband, Don, is a painter and sculptor and her daughters, Ruthie, Sierra, Chamisa and Santana Edd, have followed their parents’ example and are accomplished artists, photographers and filmmakers as well. This foundation of family, love and culture is reflected in the pages of this adventurous and playful work. Using the reference to cartography, Belin maps out the journey of her life experiences. She also brings into light the downside of being a Native American and the indignities suffered by her tribe. Belin writes with warmth about her various homes, especially the landscape of the West and the Navajo Nation. She also writes about the world of nature and enjoins readers to listen to the sounds that surround them, especially to be aware of the sounds not manufactured by humans. The emotions evoked by her work range from the personal warmth of motherhood and being a wife to the universal concern of the human condition in a time of many changes and outside forces impinging changes on the world. Belin has organized the flow of the book by using the Four Sacred Directions of the Diné culture. She begins with the East because it represents dawn and the beginning of each day. Then she proceeds with South, West and finally North, which could be considered the end of the day with the arrival of darkness. Belin has pushed the envelope of convention with the format of some of the poems in this book. Using typographic and linguistic illustration, she gives new impact to her writing. Readers might have to adjust their expectations when interpreting her intentions or emotions while viewing these poems. This compilation of experiences unique to Belin and shared by her are sure to intrigue readers. Her writing draws the receptive into the world of an eloquent and perceptive master of observation and human nature.